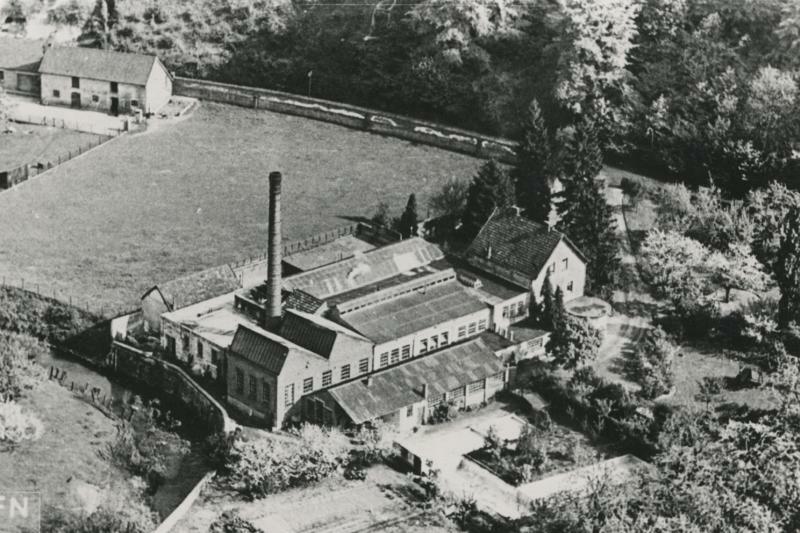 The Hollandsche Stoomwasscherij (= steam laundry) was founded in 1904 on the Plenkertstraat in Houthem (later Valkenburg) by Pierre Cloot from Heerlen, father of Christine Cloot and father in law of Peter J. Schunck. Christine and Peter married in the same year. Peter became owner in 1909, while Leo Cloot became the director. In this case, the Rijckheyt Archive confuses Pierre Schunck (who was 3 years old at that time) with his father Peter Schunck. Pierre became director (not owner) in the thirties. The laundry was sold in 1947 to E. Hennekens.